GALION — Brush and Palette Art Gallery will feature artwork made at and about the Grand Canyon in their upcoming October show called ‘Painting the Canyon.” This unique and exclusive show features a variety of paintings and drawings made on location at the canyon by plein air area artists Sharon Weaver of Crestline and Peg Vasil of Bucyrus. A special opening and artist reception, that are open to the public, will be held on Sunday, Oct. 7 from 2-4 p.m. The show will run Oct. 8-31 during the gallery’s open hours. Group tours are also available for all ages. 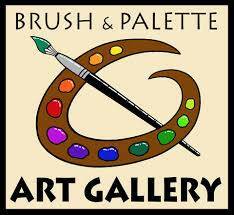 The Brush and Palette Art Gallery is located at 114 Harding Way East (rear) in Cider Alley. Current hours are 1-4 p.m. Tuesday through Friday and 10-4 p.m. Saturday, with other hours by appointment. For more information, please call Carol at 419-468-2944 or Diane at 419-468-5965. BUCYRUS — The Crawford County Board of Developmental Disabilities will have its monthly board meeting on Thursday, October 18, 2018 at 7:00 p.m., in the board room at 1630 E. Southern Avenue, Suite 101, Bucyrus. MANSFIELD — Madison Wrestling’s annual craft sale is Oct. 20 from 9 a.m. to 3 p.m. at Madison High School, 600 Esley Lane, Mansfield. Antiques an primatives will be for sale. All proceeds support the Madison Rams wrestling program. There will be door prizes, a raffle and food will be available all day.